DIBDABARTCLUB | MAKE SOME ART! As we are fast approaching the second half of the Spring term, now might be a good time to reflect on where we have been this year so far! 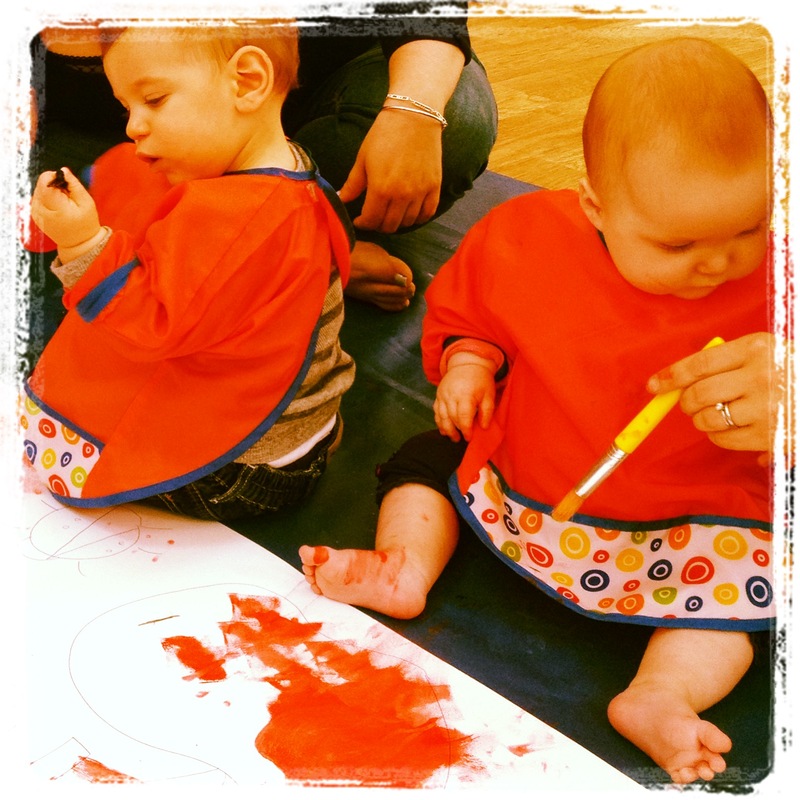 We kick start our Monday morning with a good helping of Baby Messy at Sandown Play Cafe in Esher. 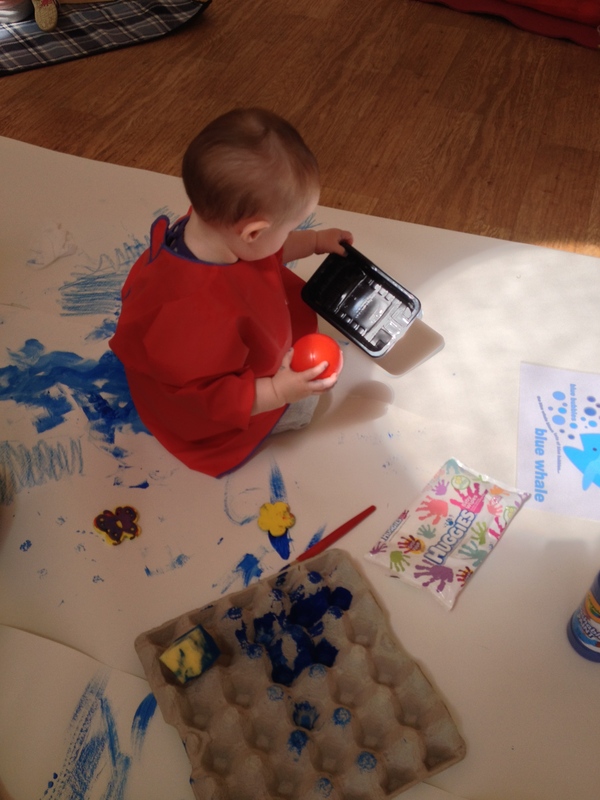 35 minutes of 6-24 month olds enjoying splatting the paint and squishing the glue! 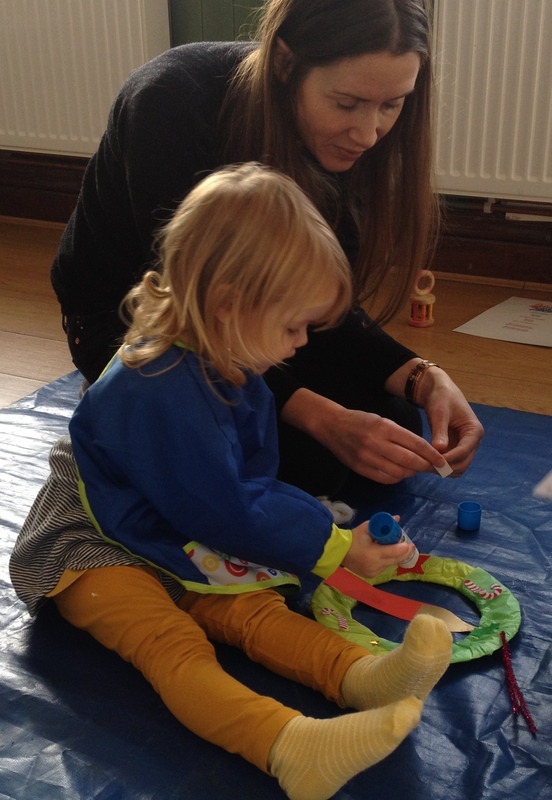 We also have a discovery time and story time and everyone leaves feeling like the week is up and running! Our second class is After School Club (which will now be held at the Play Cafe too!) 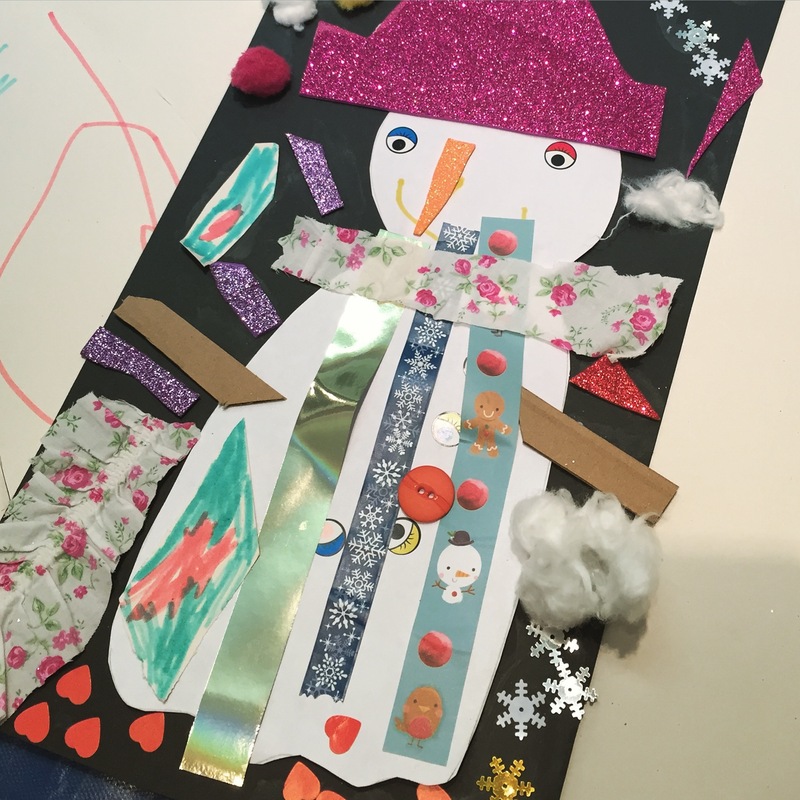 for 4-8 year olds so we shift it up a gear and the children really engage and enjoy exploring Art through painting, model making, collage and crafting. Its a great class with all the children leaving with Art they are proud of. Tuesday and Wednesday mornings see us at Pizza Express, (Esher on Tuesday and Cobham on Wednesday) to run our “FlagShip” PreSchool Class. We are now in our second year running the Cobham classes and some of our longer members have become to feel like friends. The Dib Dab song at the beginning even has the Pizza Express Staff dancing and singing! 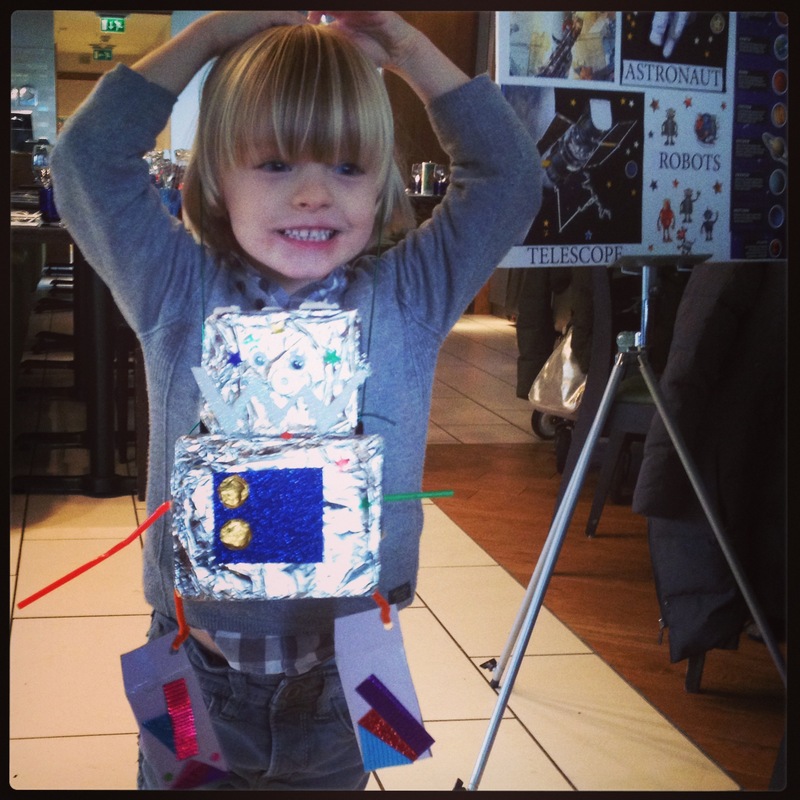 Our Friday class of the week is another Pre School at Pizza Express Cobham. Our preschool classes are nearly always full. 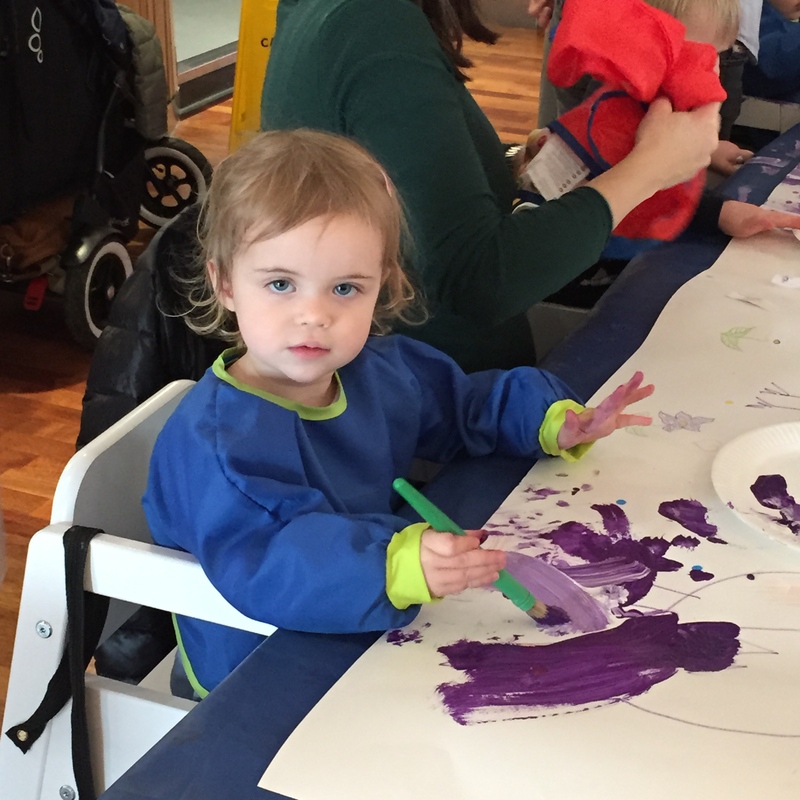 This is in part due to our efforts to bring our members an engaging and stimulating creative class for their little ones…but also partly because we are lucky enough to have amazing parents/carers who really “get” what Dib Dab is all about. For that we are eternally grateful. 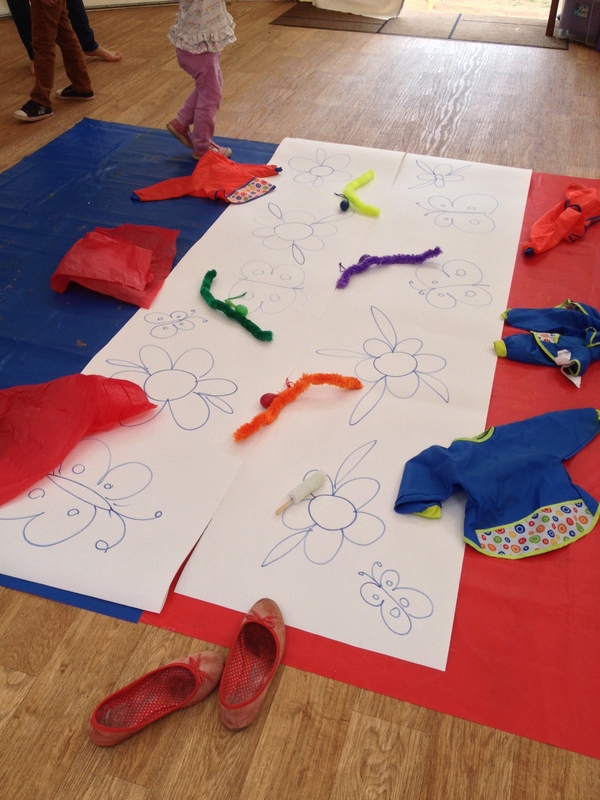 This term has seen us launch our After School Club at http://www.mycraftysoul.co.uk at The Medicine Garden, Cobham. The class runs every Monday from 4-4.45pm and costs £10/class. Its such a wonderful creative place that all our children arrive early and leave late! 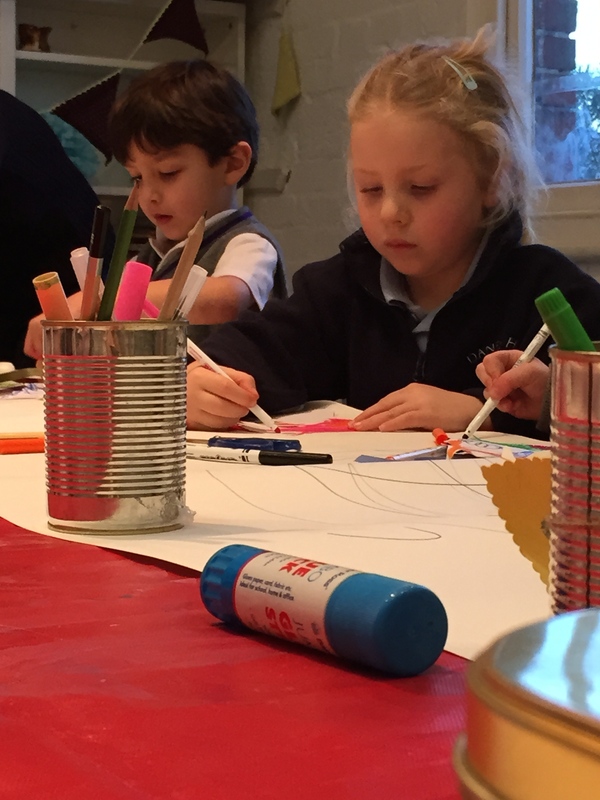 There is so much creative energy and synergy throughout the class that the children’s confidence grows quickly both in their artistic abilities and their self confidence. It is great for us to see the child who may have been shy two weeks previously now being confident enough to jump up and tell the group what they loved doing! 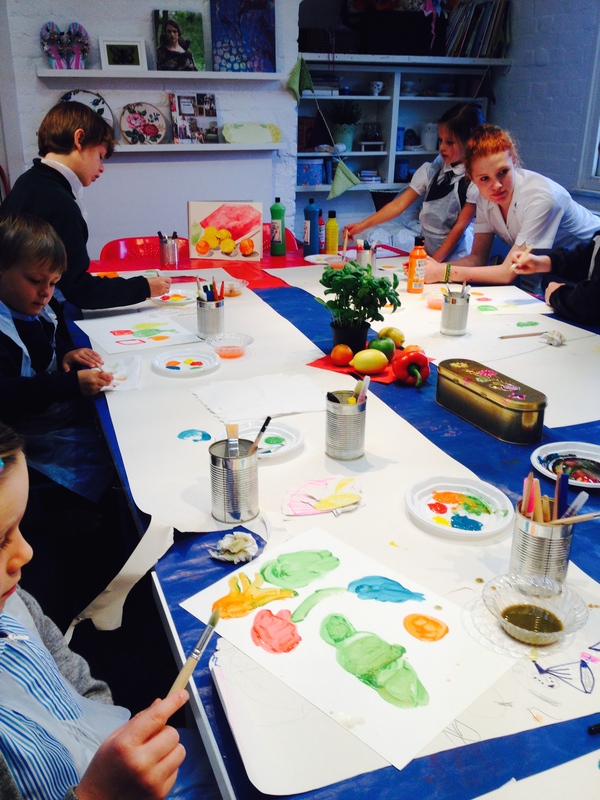 The art club caters for children 4-8 years and we are now developing an After School Club for children aged 8-11 years. 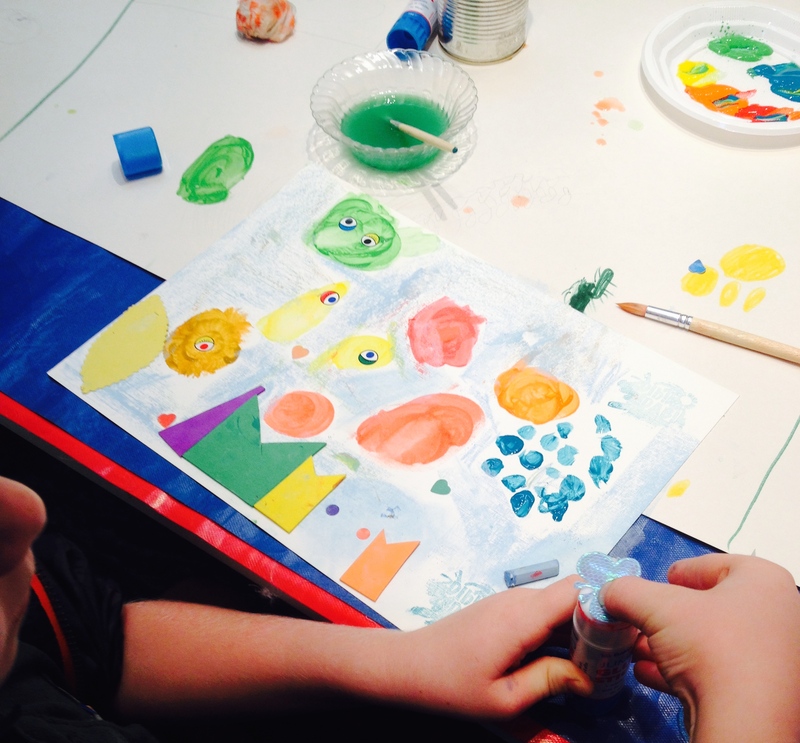 The lessons are being developed in such a way to give the student exposure to different art materials, techniques and learn about well-known artists in a fun and informative way. We will run out the Key Stage 1 Club after Christmas at the start of the Spring Term. 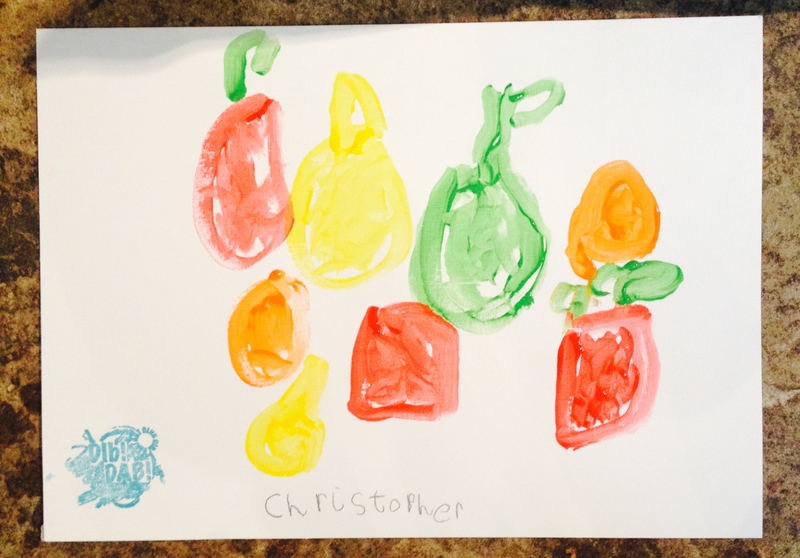 Our other new class this term has been a Pre School Art Class at Pizza Express Esher. We were keen to see if we could spread the Dib Dab Bug further afield and offer our popular class to another area. We are now in our third week and very pleased that new mums and toddlers are trialling the class and signing up! It is such a great class and we are confident that the structure works for a preschool child with just the right balance of messy art, structured fine motor skill crafting and chill out story-time. All this is underpinned with our weekly educational theme and a wonderful pizza/pasta lunch when class is over. We do see lots of happy children and parents at our weekly preschool classes and we feel very lucky to have such support. Thankyou! As I’m sure you have come to expect from us we are always planning another class or workshop…and this term proves no different! 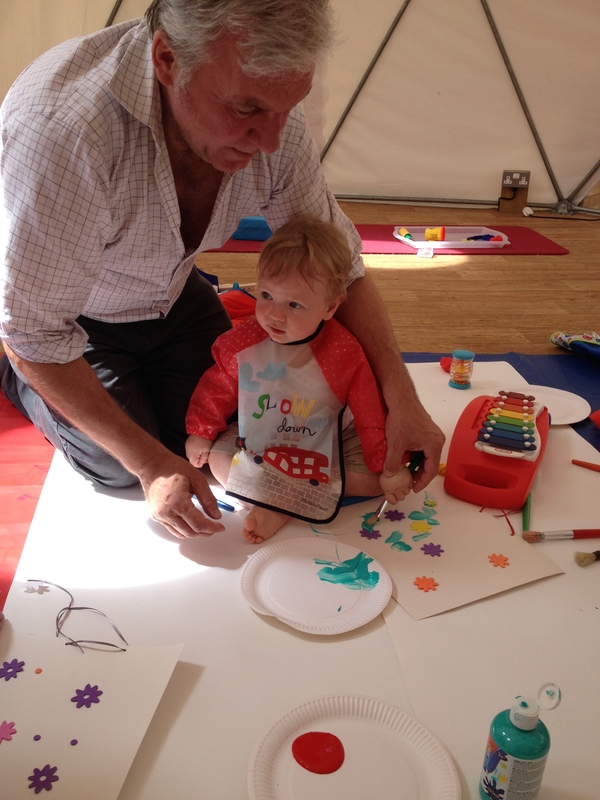 We have teamed up with Sandown Play Cafe to bring you a great baby friendly way to spend your Monday mornings! 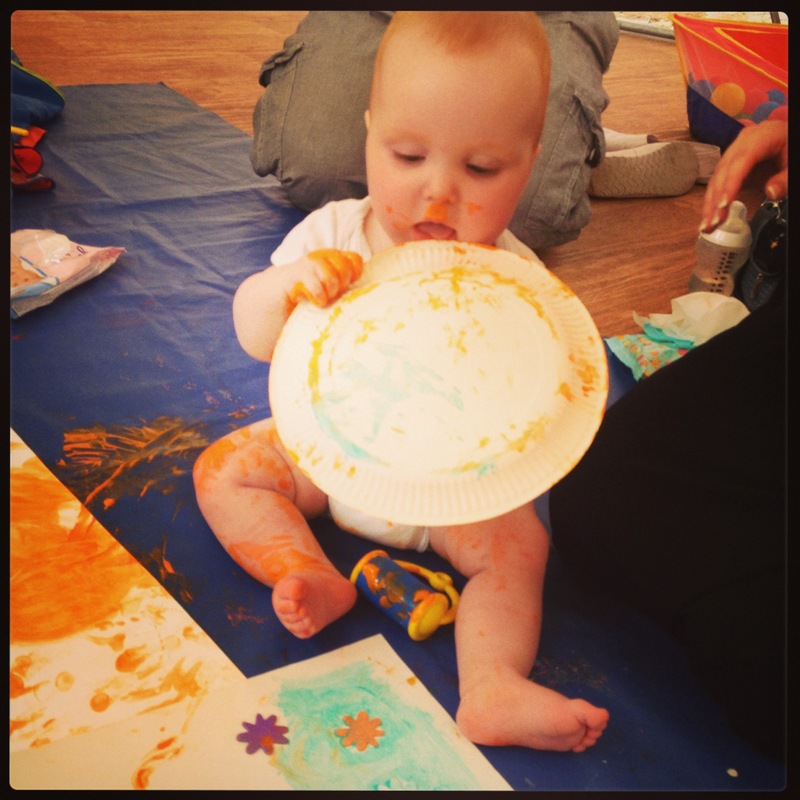 We are SUPER excited to be able to offer our Baby Messy Art at 10am in the morning at the wonderful new Sandown Play Cafe. This class will start on Monday 3rd November at 10am. Age range 6-24 months. The class will cost £10 and we will ask for half/full termly commitment. 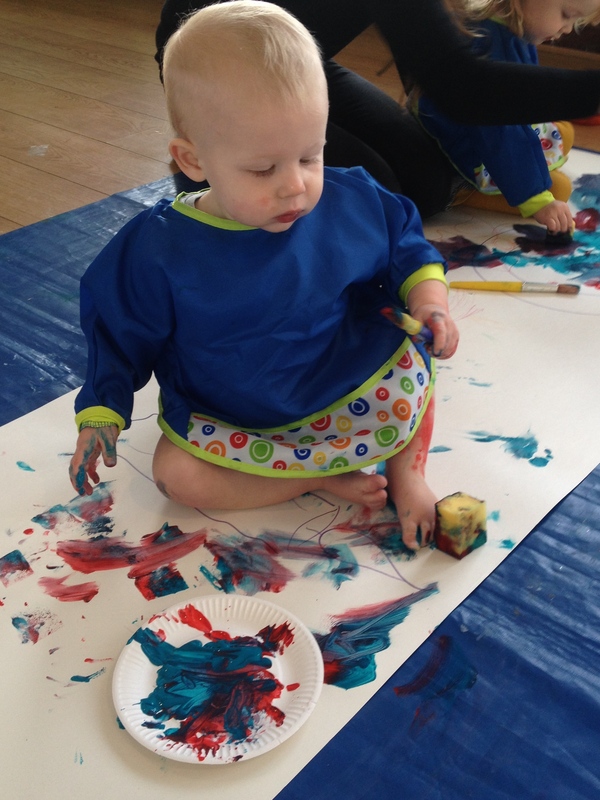 The art class will run for 35 minutes and the price includes FREE tea or coffee for parent/carer and an half hour play in the super new deluxe play cafe after art class. How amazing is that?! We hope to see lots of new parents and babies very soon! Categories: Uncategorized | Tags: art class, Dib Dab Art Club, pre school art class, School Club | Permalink. As you all must know by now…Here at Dib Dab we love Art but up until recently we weren’t so keen on Mondays! 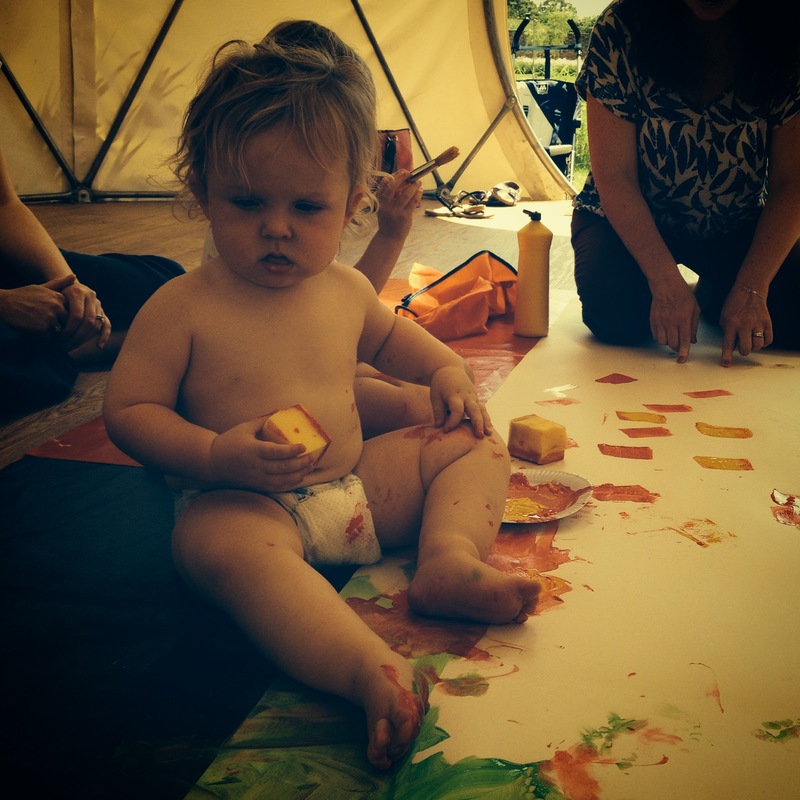 All that changed a few weeks ago when we launched our first Baby Messy Art Class in The Dome at the beautiful Medicine Garden in Cobham. 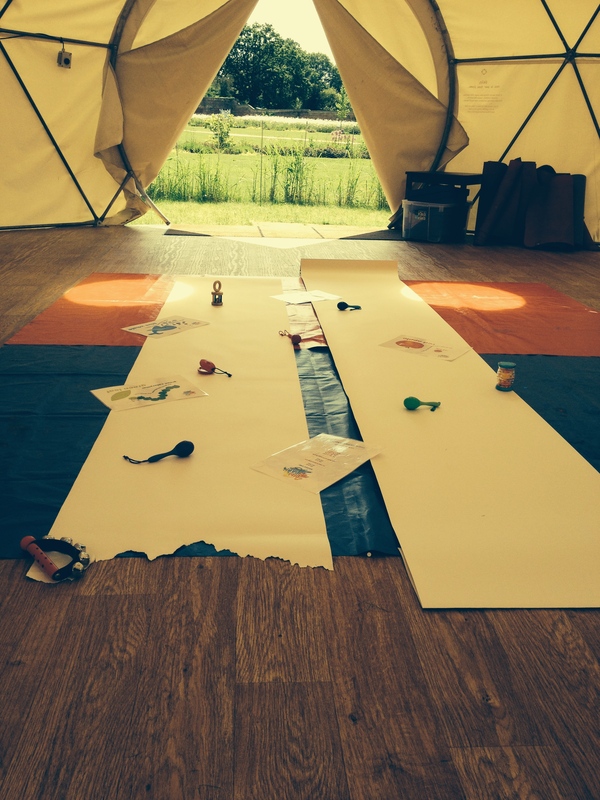 Mondays are now nicknamed Messy Monday…and we love turning up at The Medicine Garden knowing we are going to be spending a creative hour in The Dome. 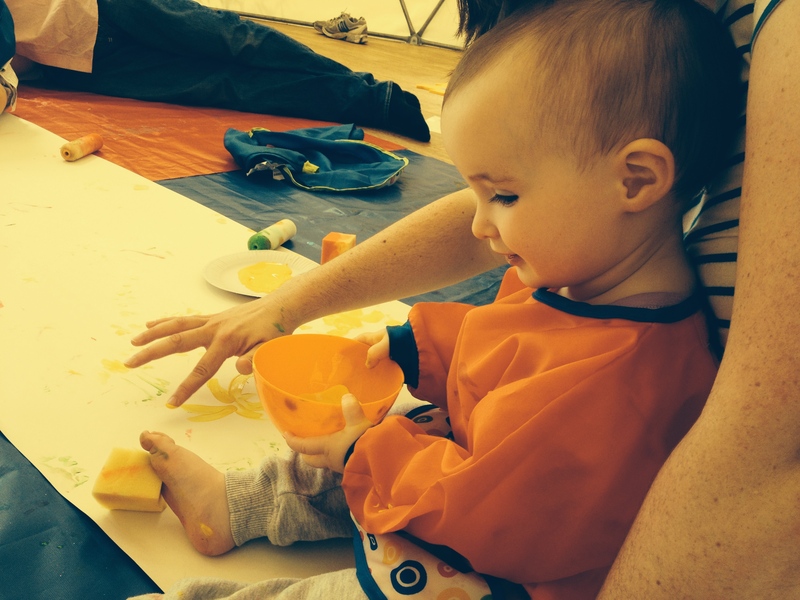 Setting up class and helping babies and toddlers encounter what could be their first real creative experience is fast proving to be a hugely enjoyable and rewarding job! 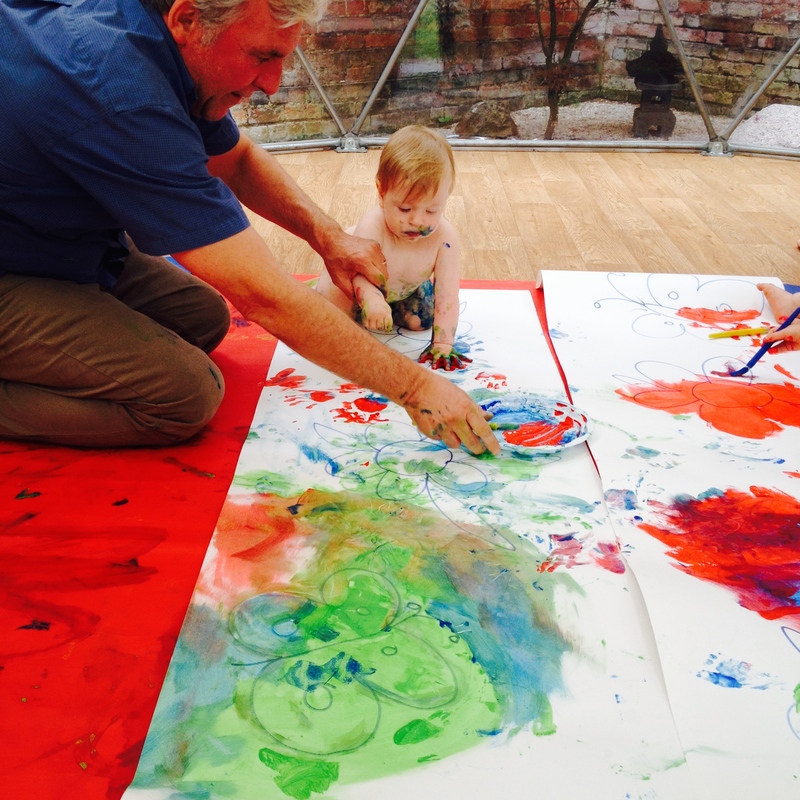 We have had lots of positive feedback from our wonderful parents ….”Oh I love the art work Marcus did with you today.”….and we are thrilled that mums are signing their babies up. We are confident that our class will only improve and gather strength…. Just like our pre-school classes and after school club did….. as we head into the second half of term. We always watch our children closely to see what they enjoy and then we work out where we can improve on our last class. Last Friday we had a fab meeting with a new team member who is a very creative lady and we have some great ideas and surprises in store for the rest of this term. SO! 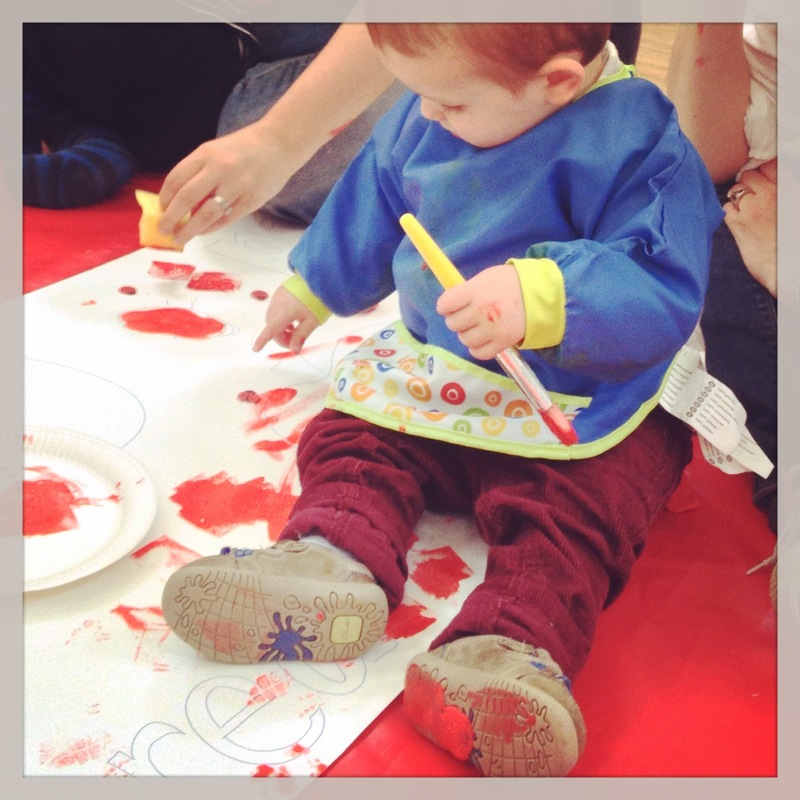 If you would like to help give your baby a head start in life sign them up for their first Art Class! 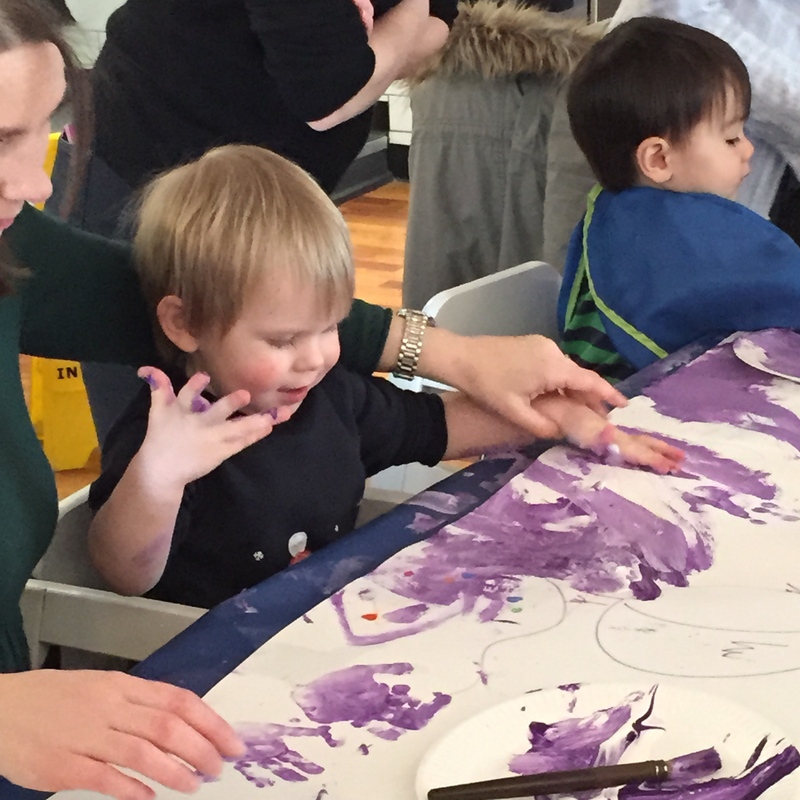 Painting helps develop fine motor skills, gross motor skills, language development, colour exploration and so much more…Plus you and your baby can make new friends and hang out in one of the most beautiful of spaces! Monday is the new Friday!! We have had a great start to the New Term and we are thrilled with how busy all our classes are. We have had so many enquiries and parents signing their children up for trial classes we are quite overwhelmed. Today has been a good day. It was our first class of the summer term and we had 2 new faces join us at class and three more booked in for next week. Next Wednesday sees us with a full class and on the second week of term that makes us very happy! Tomorrow we are fully booked for after school club with all our members from last term signing up again and three new children booked in to join the fun. It is set to be a very busy creative place to be! 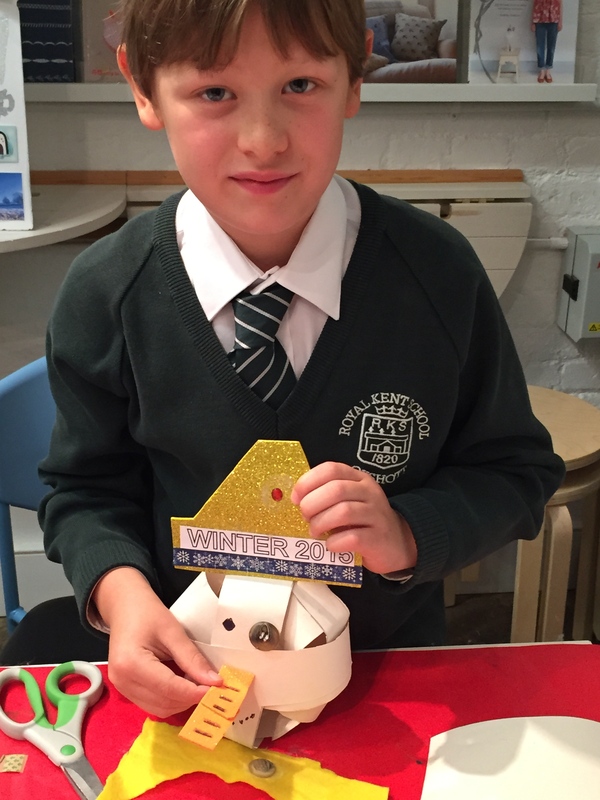 We also received an email from a Mum who’s son was a member in the Autumn term last year but didn’t attend last term. She would like to return this term and wondered if she could join our Friday class again. For us it is the ultimate compliment to have a mother wanting to bring her child back to the class. Our Friday class next week is also nearly full with only one or two spaces to fill. How lucky are we that so many wonderful parents and children love coming to DibDab. 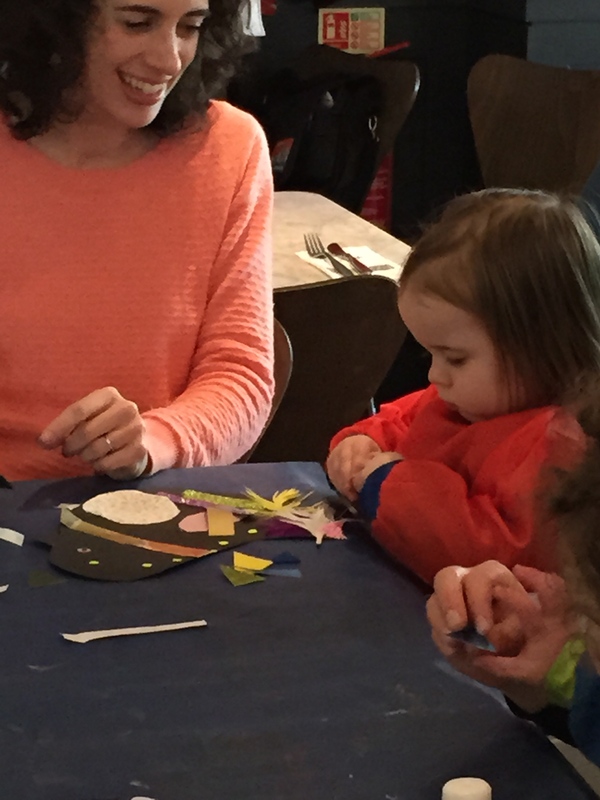 We think we provide a special and unique Art class for kids so it’s great to see that those that attend also feel the magic! Its exciting times! We are recruiting over the next couple of weeks to find a Class Assistant to help run the After School Club. This position needs to be filled by someone who shows real enthusiasm at the thought of working with a new fast growing creative company. The right person could have a real chance to develop their role as the company grows and we could offer more responsibility and creative input. Everyone knows the saying “Big Oaks from Little Acorns Grow”… so we will keep you posted when we find the right person!! 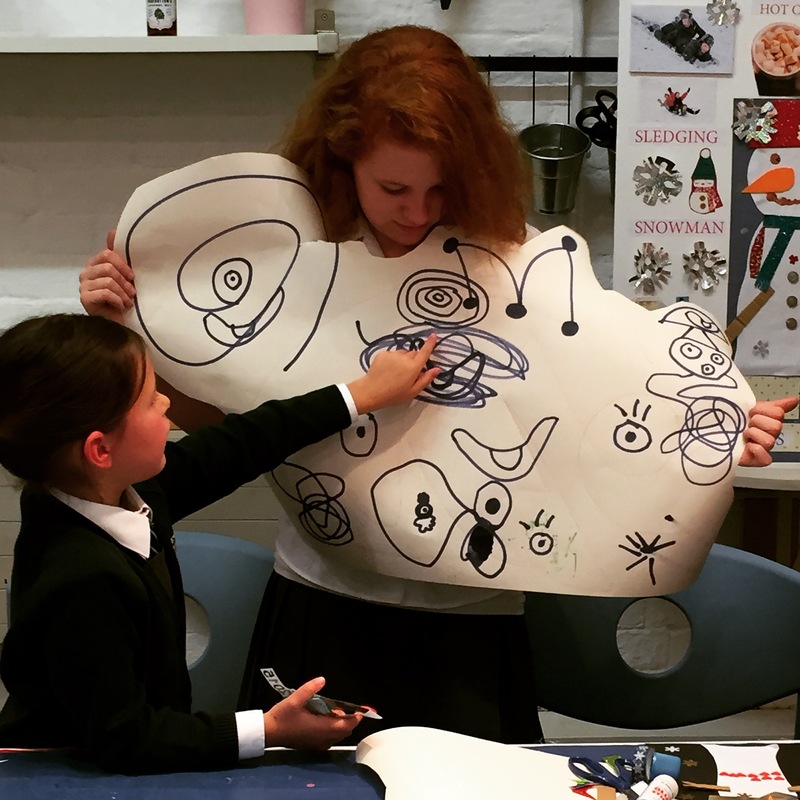 Dib Dab Art Club is excited to be recruiting a “Class Assistant” to help with their After School Art Club which is held at Squires Garden Centre Café, Cobham every Thursday from 4pm during term time. The After School Club is expanding fast and this is a fantastic opportunity to join the team on a weekly basis and ‘make your mark’ within a new fast growing company. You will need to be an enthusiastic, reliable individual who enjoys working with young children and working within an arts and crafts environment. Artistic ability would be an advantage but not essential. You will be expected to help set up the craft, assist the children during their 45 minute class and help in clearing and tidying up the work space. You will be required from 3.30pm till 5pm. Class will run during term time. We are offering £10 an hour. Ideally you will have experience in working with young children and will be CRB checked. We have started thinking and looking for an assistant to help at After School Club on Thursday afternoon at Squires in Cobham. Who would have thought we would be recruiting so soon after starting the business, but the after school club has got off to such a great start we need to add to the team! So as we head into February…the month of love (and a new baby!) we are looking forward to the new challenges that face us. We try every week to improve on our last class and to avoid a prescriptive formulaic experience for the children and the parents. 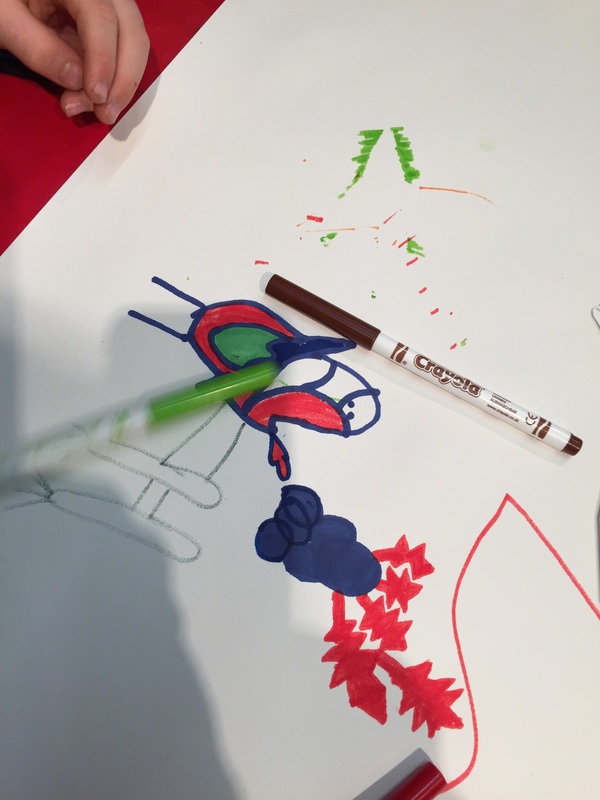 At the heart of Dib Dab we have a need to produce exciting, stimulating and expressive Art and when children are added to the mix it can truly become a reality! We are loving this Art Club. Why not give it a try! Categories: Uncategorized | Tags: ho would have thought | Permalink. After the first class of DIBDAB my daughter was hooked and all week she wouldnt stop asking when the next ‘DIBDAB ‘ class was! I was very impressed with structure of the class and with the lovely art the kids created.. My daughter was especially proud of her ‘suitcase’ she created complete with flip-flops and sand! There is obviously a lot of thought behind each class and I wouldnt hesitate to recommend DIBDAB to any child who loves arts and crafts. 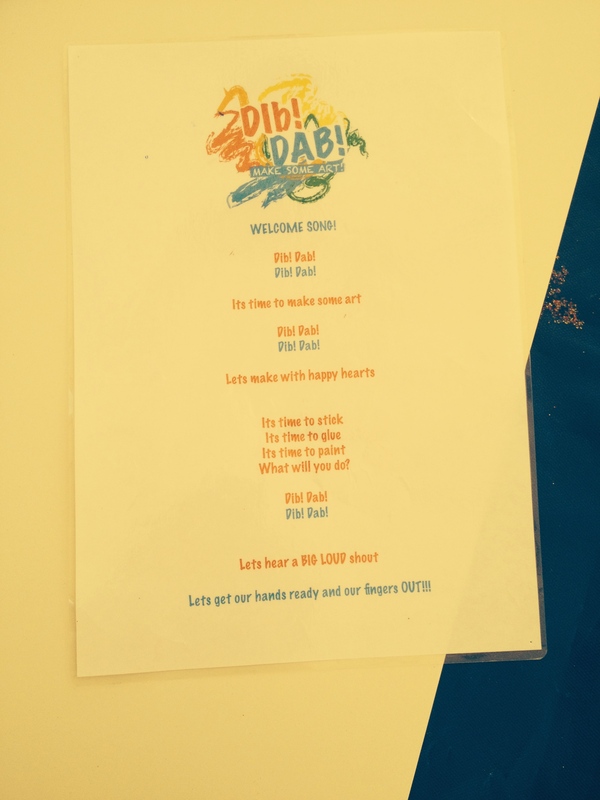 Dib Dab rocks! My son can’t get enough. It’s not just your ordinary song, talk, arts and a story class. It is so much more. 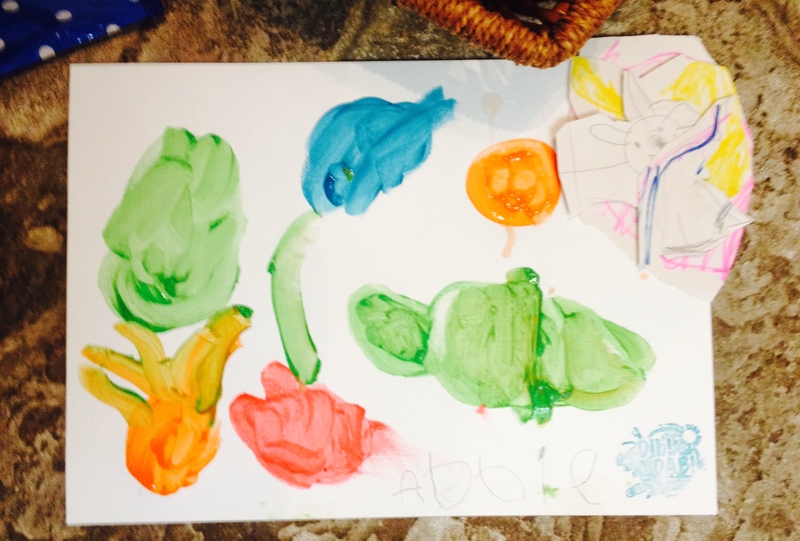 Children leave with a huge sense of accomplishment as they’ve created something awesome, not just a scribble but a beautiful art that resembles the real thing. My son is so proud and can’t wait for the next class. Amazing work DibDab team. Thank you.